Congratulations to Richard Benedick for his recent appointment to a National Research Council committee on Analysis of Global Change Assessments. The committee will identify lessons learned from past assessments to guide future global change assessment activities of the U.S. Climate Change Science Program. Richard was chosen for this position because of his experience in the State Department where he was responsible for U.S. international environmental policies and negotiations, as well as his work on climate policy at PNNL's Joint Global Change Research Institute. 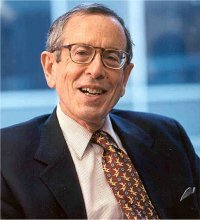 He was the chief U.S. negotiator and a principal architect of the historic Montreal Protocol on protection of the ozone layer, and the Special Advisor to Secretaries-General of both the United Nations Conference on Environment and Development and the International Conference on Population and Development.